In the South-Western administrative district of Moscow is the famous the Khovanskoye cemetery, the largest cemetery in Europe. Its total area is about 200 ha. In the cemetery are buried many celebrities, located architectural structures of incredible beauty, built at the end of the last century. Khovanskoye cemetery is one of the youngest burial places in Moscow. It was founded in 1972, near a small village called Nikolo-Khovanskoye. At present its territory is the largest among all of the cemeteries on the European continent. It is divided into three sectors – Northern, Central, and West. On Khovansky a cemetery have a crematorium and myalina, its territory is as landscaped, flowerbeds, built intakes of natural stone, paths covered with asphalt for the convenience of visitors of the graves created by the rental of various equipment for the care of graves. In 1997 the administration of the cemetery took special plot for the burial of Muslims. The flow of visitors to the cemetery Khovanskoye is not only the descendants of those who buried there. The cemetery is also one of the most popular places among tourists and visitors to the city, because here are buried many famous people. In the Central and Western sector of the cemetery at different times found their last resting place of the Heroes of the Soviet Union, received this high rank in the great Patriotic war. 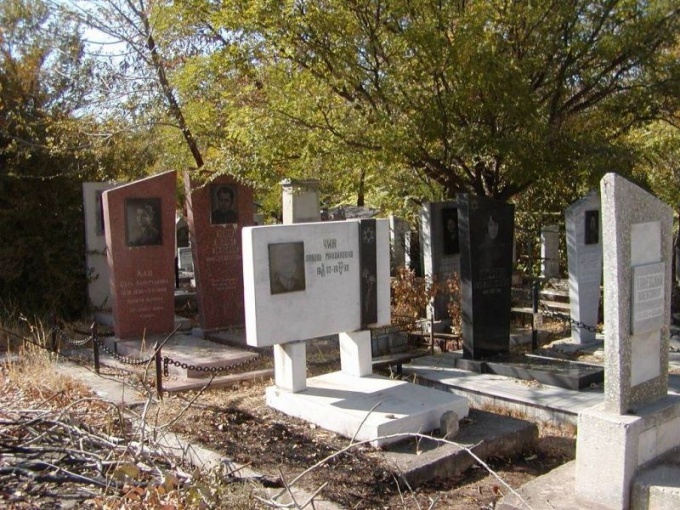 Here are the graves of students who died in the Urals mountains in 1982. On Khovansky a cemetery are buried many writers and poets, actors and honored workers of the stage, circus, athletes, politicians and even prominent representatives of the criminal world. Striking in their beauty and architectural construction Khovansky cemetery. By the parishioners for the funds to donate, relatives and visitors, there is built a very beautiful Church of St. John the Baptist and the Holy Prophet, forerunner, chapel of the Vladimir icon of the mother of God and of Marina the Monk. Tourists and visitors coming during worship dedicated to Christian holidays or rituals, as it is amazingly beautiful and fascinating spectacle. Drive to Khovansky of a cemetery on city bus. From the metro station Teply Stan, which is located on the Kaluzhsko-Riga metro line, to Khovansky of a cemetery there is a bus No. 600. And from the station South-West of the Sokolnicheskaya subway line bus route 802. Weekday delivery of passengers to Khovansky of a cemetery is carried out from 8.30 to 19.00 and on weekends from 7.00 to 19.00.